Morgan Motor Company is a unique figure in today’s automotive industry. Still a family-owned manufacturer after more than a decade in the business, Morgan continues to build vehicles based on 1920s and 1930s designs, most of them on hand-made wood frames. Some would call their vehicles dated and too old-fashioned, but Morgan has developed a cult following in Europe and sales are strong, despite the expensive price tags. 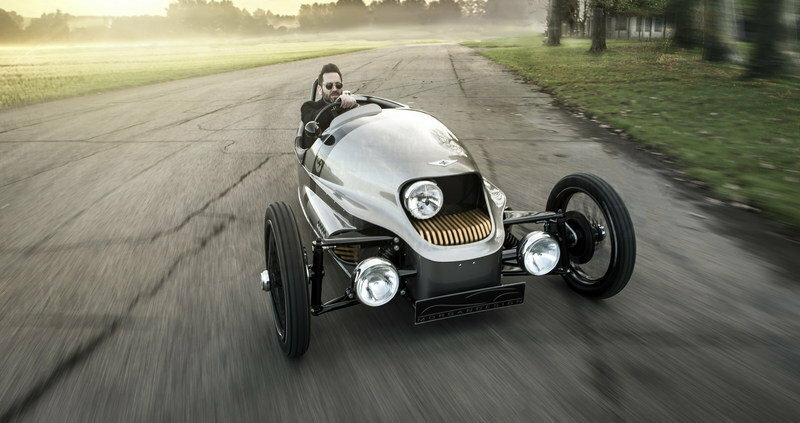 Come 2016, and Morgan takes a new step into the future with the EV3, an all-electric version of the iconic 3-Wheeler. 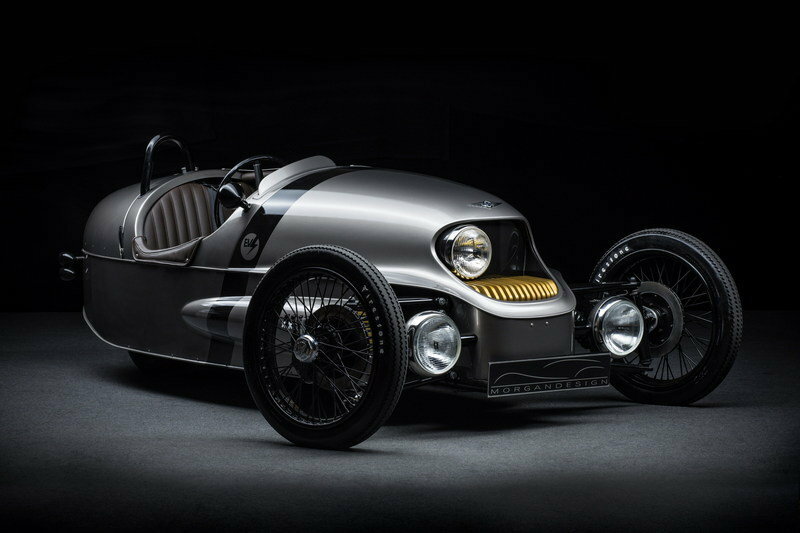 Unveiled at the 2016 Geneva Motor Show, the EV3 is Morgan’s first-ever electric vehicle and the first 3-Wheeler to receive a significant makeover since its revival in 2011. Not just a drivetrain swap, the EV3 gained a redesigned body and a new interior with a more modern instrument cluster. A final pre-production prototype as of this writing, the Morgan EV3 will go into production in the fourth quarter of 2016, with the first examples likely to hit showrooms by the end of the year. Along with the EV3, Morgan also announced that it will develop more EV and hybrid vehicles in the future with funding from the British government. Until that happens, let’s have a closer look at the 3-Wheeler’s battery-powered brother. Continue reading to find out more about the Morgan EV3. Compared to the standard 3-Wheel, the EV3 got a significant makeover on the outside, but that’s mainly due to the car’s awkward drivetrain configuration, with the engine mounted on the front axle and in front of the nose. With the two-stroke Harley-Davidson removed, Morgan reconfigured the car’s nose to accommodate the electric motor by extending the bodywork to include the front axle. 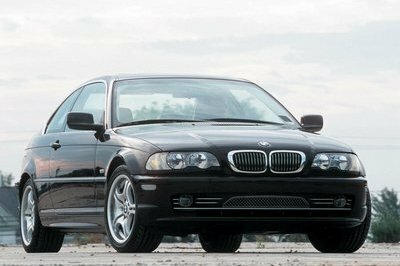 The lower extension was integrated into the body, while the traditional grille was removed altogether. 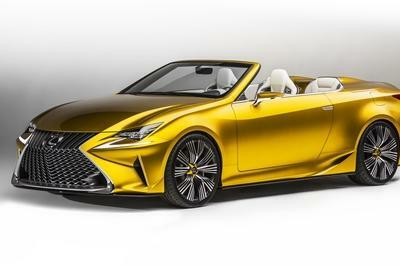 Instead, the nose now features a carved opening that houses an offset headlight and the brass conductive cooling fins that encase the batteries. Visually, it’s an interesting solution that’s far from strange for a three-wheeled means of transportation that screams 1930s. Another significant change is the repositioning of the headlamps. Usually mounted just above or between the wheels, flanking the motorcycle engine, the round lights have been moved closer to the ground. It’s a bit unorthodox for a 21st century vehicle, but then again, the EV3 is based on the 3-Wheeler, which is anything but conventional. As you may have already noticed, the front wheels don’t have fenders, a feature you don’t see on many 3-Wheelers. More changes are noticeable on the sides, starting with the cylindrical side pods mounted just behind the lower headlamps. Given the EV3 works on electricity alone, there’s no side exhaust. Just like the standard model, it features classic, wider wheels finished in black with chrome center nuts. The rear end seems to have remained unaltered at first glance, but the EV3 has a more dramatic tail lift from the rear wheel toward the license plate, a feature first seen on 3-Wheeler models from the 1930s. Finally, the EV3 is the first Morgan vehicle to use composite carbon panels in its body construction. The hood, tonneau cover, and side pods are all made from carbon composite, while the remaining panels are crafted from aluminum panels. The latter are hand-formed over the ash wood frame. Old-school stuff! Overall, the EV3 is different enough to deserve a nameplate of its own, but at the same time Morgan made sure it remains recognizable as a 3-Wheeler. And that’s really, really cool! Most of the tiny interior is also new. A redesigned dashboard layout features a classic "magneto" switch for drive selection and wood, brass, and polished aluminum details. 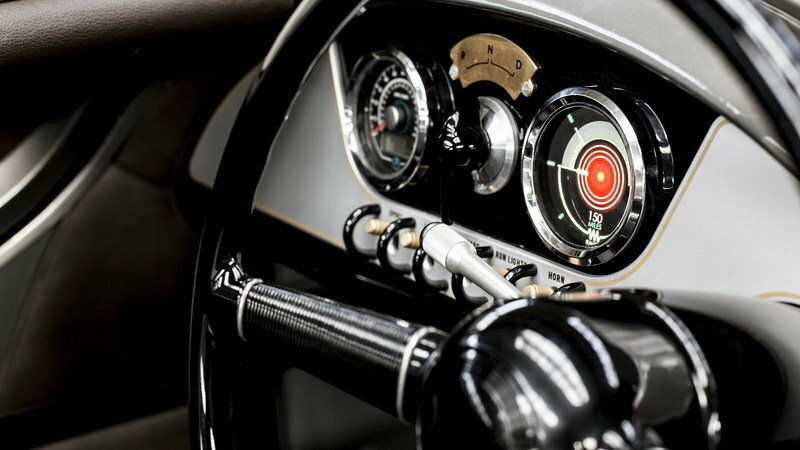 The two traditional gauges and the switch are mounted on a black panel, while the rest of the dashboard is finished in light gray with brass accents. The switches underneath the instrument cluster are also finished in a brass-like color and feature black, C-shaped separators. Unlike the standard 3-Wheeler, one of the EV3’s gauges has been replaced with a digital screen. It’s shaped as a standard round gauge so it doesn’t impact the classic design. It displays information about the car’s electric drivetrain, including battery consumption and charging, as well as range data. Finally, there’s a new steering wheel, which also remained true to the original, and leather-wrapped side panels with aluminum inserts. The EV3’s cabin is definitely more upscale than the standard 3-Wheeler’s, but Morgan managed to keep it classy and in line with the brand’s vintage heritage. It’s the drivetrain department that really sets the EV3 apart from the standard 3-Wheeler, as it replaced the rumbling sound of the 2.0-liter S&S gasoline engine with the swoosh of an electric motor. Taking its juice from a 20 kWh lithium battery mounted at the front of the car, the 46kW (62-horsepower) motor drives the rear wheel. While 62 horses, a 20-pony decrease over the 3-Wheeler, might not sound like much, the fact that the EV3 weighs less than 500 kg enables the motor to push the two-seater from 0 to 62 in "less than nine seconds" and to a top speed "in excess of 90 mph." 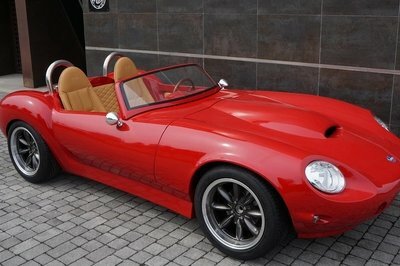 For reference, the 3-Wheeler hits 62 mph in six seconds and tops out at 115 mph. As far as range goes, the EV3 can travel up to 150 miles on a single charge, which is quite impressive considering that the Nissan Leaf can return up to 138 miles. 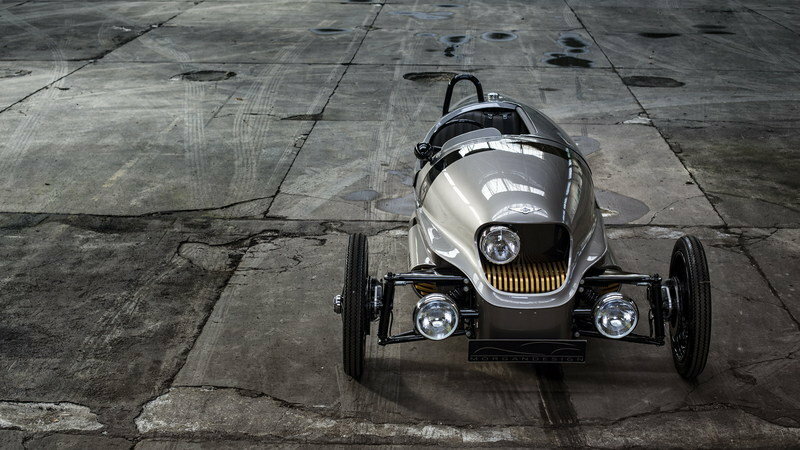 Granted, the EV3 is not as sporty as the 3-Wheeler and the driver won’t benefit from the rumbling sound of a genuine two-stroke engine, but the sensation of speed that comes with the three-wheeled, roadster layout should remain about the same. With the EV3 still in its "final pre-production phase," pricing is not yet available, but Morgan claims it will be priced "comparably" to the 3-Wheeler. This could mean somewhere between £27,000 and £30,000 before options (about $38,375 to $42,640). Finding a proper competitor for the EV3 is next to impossible given its configuration. I mean, let’s face it, you can’t find another three-wheeled electric car/motorcycle with 1930s heritage on the market. 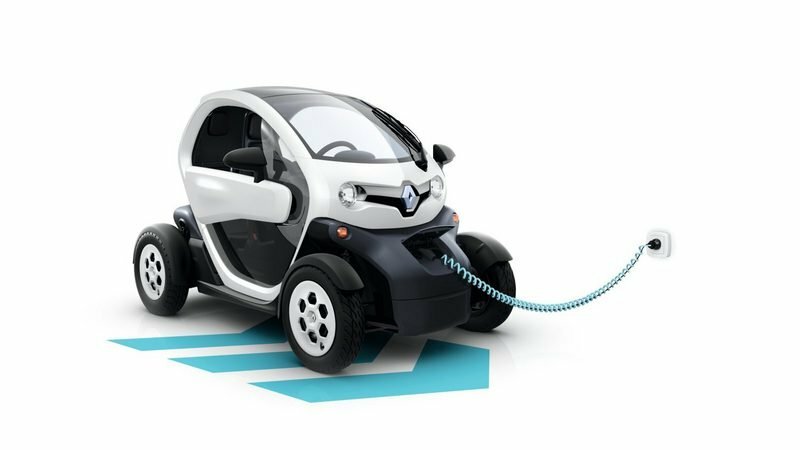 The closest battery-powered thing that comes to the EV3 is the Renault Twizy, a two-seat electric city car with the looks of a three-door hatchback. Not exactly sporty by design, the Twizy is significantly less powerful and slower than the Morgan. The most potent version uses a 13-kW (17-horsepower) motor that can return up to 62 miles on a single charge. The Twizy’s top speed is limited at 50 mph. Renault built a more powerful, 97-horsepower F1 Concept in 2013, but the show car never made it into production. While it’s far from sporty, the Twizy is significantly more affordable than any Morgan, retailing from £6,895 (about $9,800) in the U.K.
Find out more about the Renault Twizy here. 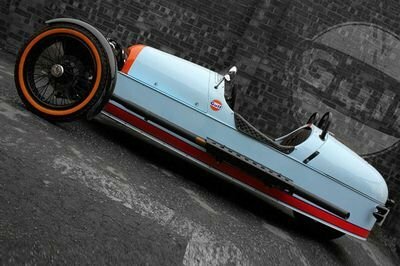 I’ll be honest here and admit I’m a big fan of the Morgan 3-Wheeler. If there’s a car I would spend around $40,000 in a heart beat, this British-made, motorcycle-powered roadster would be it. I wouldn’t fancy the electric version as much, but I do believe it’s one of the most exciting EVs on the market. Sure, it’s not as powerful as the Tesla Model S and there’s no room for luggage unless you’re using the passenger seat as a storage compartment, but that’s exactly what makes it interesting. 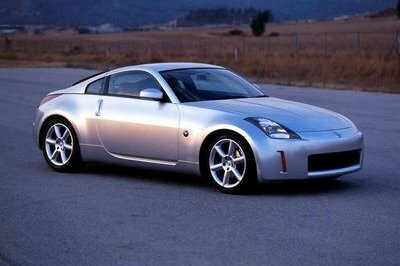 The 3-Wheeler is a ridiculous car for people who already have at least a family vehicle in their garage and like to spend their Sundays on twisty back roads. An electric drivetrain doesn’t add much to that, because let’s face it, you’re not at all concerned about gasoline prices when you buy a 3-Wheeler, but it’s an interesting take on Morgan’s iconic design and proof that the British brand can adapt to modern times. And, I have to give Morgan credit for dropping an electric motor in the 3-Wheeler when it could have opted to use it in a proper four-wheeled vehicle. This is what happens when a brand is powered by a team of enthusiasts that are looking to build cars that are fun to drive. A lot of automakers could learn from this. 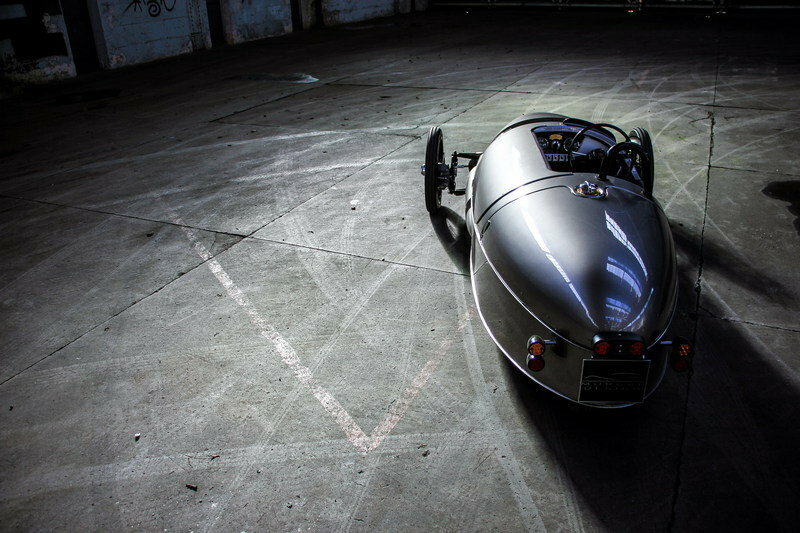 The EV3 is the first Morgan vehicle to utilise composite carbon panels in its body construction. The carbon bonnet, tonneau cover and side pods are made in the UK, and much like the remainin aluminium panels, are hand worked over an ash wood frame. Taking inspiration from 1930’s aeroengine race cars, classic motorcycles and 1950’s fantasy automatons, the face of the EV3 is designed to function. Brass conductive cooling fins encase the batteries and an off-centre tri-bar headlight adds to the overall asymmetry of the design. petrol 3 Wheeler. This launch coincides with an announcement that the Morgan Motor Company will receive government funding towards a £6m consortium based project developing future hybrid and full EV Morgan vehicles.